Current diabetes screening criteria in the USA that use age and weight alone may miss up to half of prediabetes and diabetes cases, according to a new study. Current diabetes screening criteria that use age and weight alone, as recommended by the US Preventive Services Task Force (USPSTF), may miss up to half of prediabetes (5.7% – 6.4%) and diabetes (>6.5) cases, according to a study in the Journal of General Internal Medicine. To compare the limited USPSTF screening criteria to expanded criteria, the researchers conducted a cross-sectional study using data from a nationally representative sample of participants in the 2011 to 2014 National Health and Nutrition Examination Surveys study (NHANES). The study included 3643 adults who had never been diagnosed with diabetes. The study defined abnormal blood glucose as an HbA1c ≥5.7%, fasting blood glucose ≥100 mg/dL, and/or 2-hour blood glucose ≥140 mg/dL. The researchers found that 49.7% of the study population had undiagnosed abnormal blood glucose. By ethnicity/race, the prevalence was 48.6% among non-Hispanic whites, 54.0% among blacks, 50.9% among Hispanic/Latinos, and 51.2% among Asians. Extrapolating from Census data, the researchers estimate that 105.1 million Americans have undiagnosed dysglycemia. Early screening for type 2 diabetes is important because it can enable earlier pharmacotherapy and lifestyle modification, potentially warding off serious complications of diabetes. The results also showed that using the limited criteria would miss other high-risk groups. 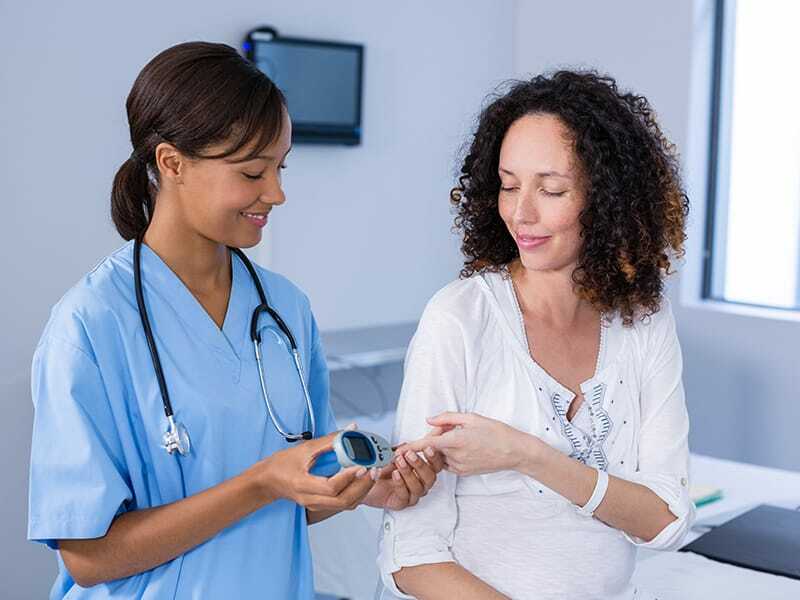 These include women with polycystic ovarian syndrome and/or a history of gestational diabetes, and younger age groups who are increasingly at risk for diabetes.